With connected vehicles, the literal road map has changed. Sure, you want to get directions and know where the traffics jams are. But what about where you’ll find the best prices for gas? Or which roads aren’t presently navigable, no matter that they’re on the map. 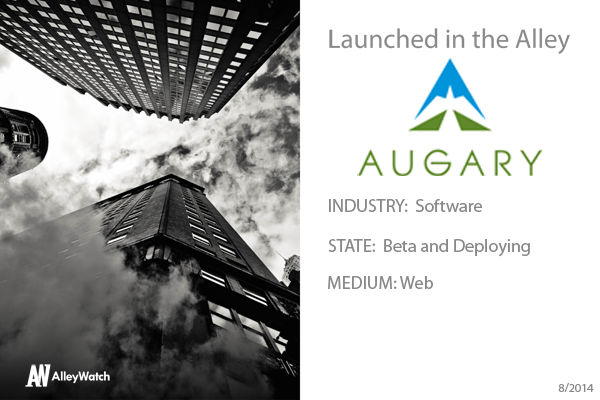 Augary is part of the Columbia Startup Lab and focused on the connected car. Founder Dima Kislovskiy (‘10SEAS) is here to tell us about the next generation software that’s going to give new meaning to the term auto responders. We aim to fill a pressing gap with in-car data, which is that nobody is presenting drivers with real-time information that extends beyond traffic. If you want to know where the lowest gas prices are nearby, or where you can park in your area, or what roads are currently under construction, there is really no dynamic and reliable resource for that. We aim to be that provider. We collect data in a unique way. The historical norm has been to drive cars around with cameras on top of them (Google is most famous for doing this, though other companies do it, too). That sort of acquisition obviously can’t support real-time data, since you would need hundreds of thousands of vehicles to make it work. However, that’s exactly what we aim to do, by leveraging a compelling safety proposition. We’re going after the in-car infotainment and data services market; it’s in the billions of dollars a year and growing quickly, with the advent of connected vehicles. From your data where are the safest drivers from and how does New York compare? Boise. It’s actually pretty consistent, year after year. New York doesn’t compare very well, but we’re hoping to change that! We deliver a safety solution for fleets, which we define as groups of organized drivers under a central authority – trucking, delivery, taxis and public transportation would all qualify. We monitor the behaviors of drivers in the fleet using computer vision, which correlates very highly to actual driver risk. However, every device running our software acts as a collection agent for our mapping data. We are basically crowdsourcing the acquisition of real-time data through camera views on the roadway, and the safety solution is the spoonful of sugar. We are simultaneously fundraising and expanding our data acquisition partnerships. Within six months, we plan to be providing real-time data to early clients. The decision to apply was a no-brainer for us; Columbia is making big moves to enhance the entrepreneurial development of students and alumni alike, and we were excited to participate as soon as we heard about it. It’s been a fantastic experience so far. We were local already, plus Manhattan is a great laboratory for evaluating and perfecting location-based technologies. On top of which, the city is a dynamic and vibrant environment for startups nowadays, which CSL is helping to develop. What’s your favorite summer time beach destination close to NYC? Tie between Jones Beach and Rockaway.